It is important for organizations in the enterprise mobility space to possess a sound strategy in terms of building the right application for business needs. If the companies fail to be ahead of the curve, critical information of the enterprise moves into the danger zone owing to employees’ usage of consumer-facing file sharing apps instead of more secure business apps. Addressing this concern of enterprises for a smart, secure and affordable mobility solution is Zingma Mobile Solutions. Zingma is a Clarion Venture Partners invested and incubated com-pany founded in 2010 which is lead by Anoop Tiwari, CEO. The CVP approach is to focus on services start-ups and to give them the infrastructure, support and advice they need to become successful. The organization has garnered a staunch reputation in the field of custom mobile solution development over its three-year run in the industry. The team today utilizes cloud-based technologies such as mBaaS (Mobile backend as a service), Hybrid and Native solution development extensively while keeping in mind the exact requirements of its clients. says Tiwari. The company recently helped one of the largest Eye Hospital Network in US to take their complete outpatient activities on Mobile. The company devised an innovative application that lets eye patients receive their prescription on their iPhone and Android devices. The unique app also lets patients track their contact lens wearing schedule, order new contact lenses from the app, communicate with doctor and provide complete tracking and monitoring of condition to the doctor. The amalgamation of the extensive expertise can be highlighted from the company’s flagship platform, the “Zingma Enterprise Governance Platform”. The offering was built by the Zingma team based on the four building bricks of Implementation, Architecture, Strategy and Roadmap. “It has been designed as a plug and play feature which works above an existing enterprises infrastructure. 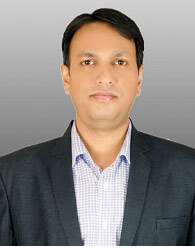 The middleware acts as the connecting link, between the platform and the IT infrastructure of the client,” says Tiwari. The integration platform enables the user to perform location based services, engage in social media campaigning and events along with the provision of analytics and reports. Zingma has come of its own today and provides its enterprise solutions that span the markets of Healthcare, Education, Retail, Manufacturing, BFSI and Consumer Goods. The focus on customer satisfaction across multiple verticals has garnered the company a client base that spans across the U.S, Europe and the Asian markets. The company has also created a unique concept to Creation to Deployment service engagement model to bring out the best app for the client. While other vendors stop at the deployment of a solution, Zingma goes the extra mile by incorporating Project Managers (who manage complete App Life Cycle) and Quality Auditors (to ensure bug free codes) at no extra costs for the consumer. The company’s action plan for the future is to strengthen its enterprise offering in big data and build a security framework that can be integrated with MDM (Mobile Device Management). The company today looks set to take giant strides and ride the Enterprise Mobility wave in the U.S.